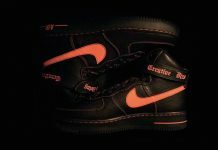 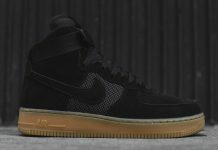 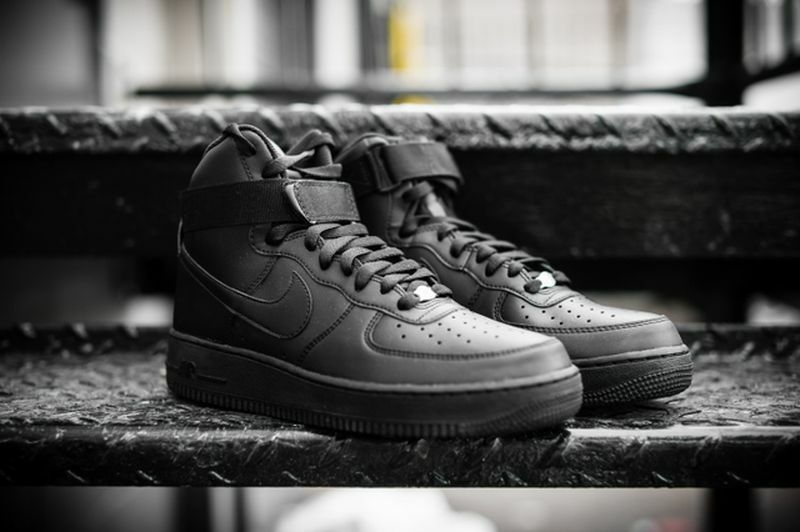 The Nike Air Force 1 sees an all black colorway in the High version for the Fall season. 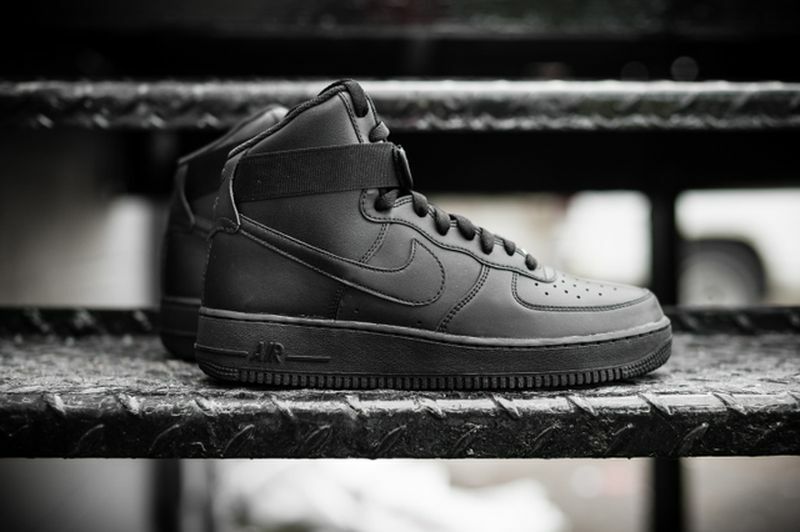 We usually see the Low and Mid versions of the Black Nike Air Force 1 make it’s way into retailers around this time. 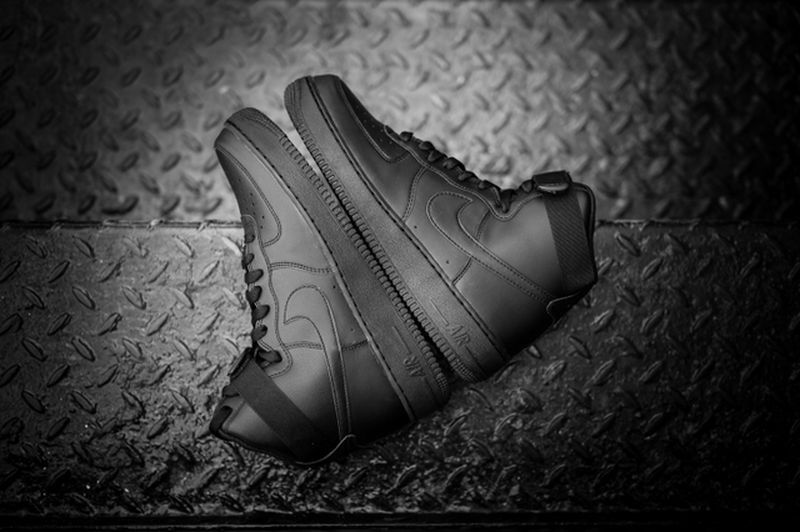 However on some rare occasions, you’ll catch the High silhouette and it’s finally here. 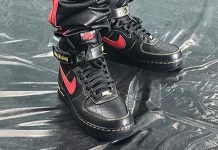 Releasing at retailers like Packer Shoes and already available on Ebay is the Nike Air Force 1 High featuring the OG strap and all black everything build. 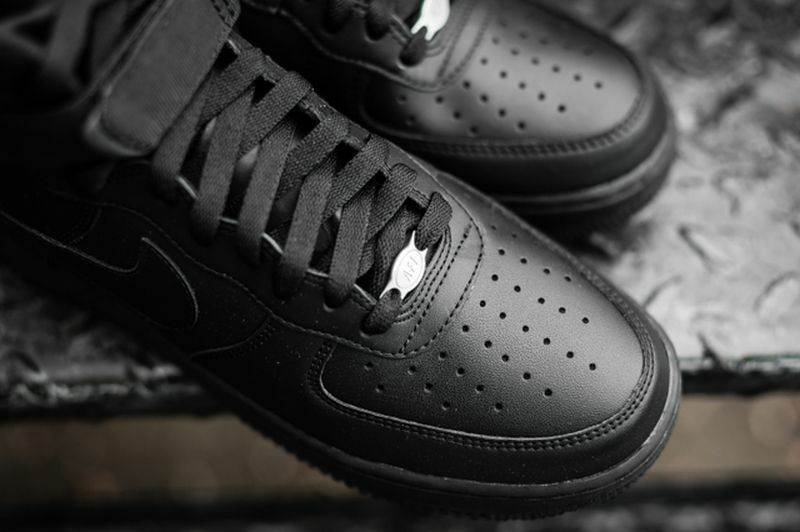 These are going fast so make sure you head over and scoop up a pair right now.